Today we are discussing one of the biggest challenges for many caregivers who choose DIR/Floortime for their children with developmental challenges. Returning guest, DIR Expert Training Leader, psychologist Ira Glovinsky has a background in psychology and special education and runs The Glovinsky Center for the Child and Family in West Bloomfield, Michigan. He also co-leads the PhD program in Infant and Early Childhood Development, founded by Dr. Stanley Greenspan as the Interdisciplinary Council on Development and Learning (ICDL) PhD Program that is now offered at Fielding Graduate University, and is on the graduate faculty at ICDL. Dr. Gil Tippy has coined the term ‘Foundation Academics‘ which is the essential social-emotional pre-cursors to academics. In today’s podcast we’re focusing on how caregivers come to grips with realizing that their children might not be ready for a typical school experience and academic learning. Most experience a sense of urgency after their pre-schooler’s diagnosis to ‘catch them up’ and get them ready for school, but in many cases, this does not happen on the timeline that they are anticipating. Dr. Glovinsky points out that there is a tremendous emphasis on teaching children cognitive skills and drilling them. 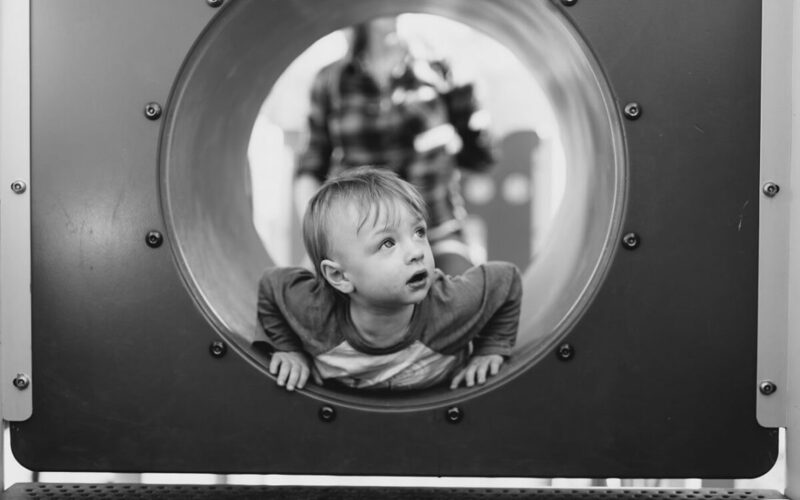 The problem that really isn’t in focus yet, but is getting in focus, is that emotionality drives so many areas of functioning in child development. In a child who experiences over- or under-arousal, it’s like when we used to watch television in between channels where you would just see static. The way emotional dysregulation affects very young children is that it interferes with being able to process information clearly. Dr. Glovinsky is working with a private school district training teachers on the importance of emotional regulation before introducing academics. Schools expect children to sit and be compliant. When and if they actually do focus on emotional regulation, they tend to try to teach social-emotional skills, which you cannot teach. These capacities develop through relationships. Dr. Glovinsky says that psychologist Susan Calkins has a model that he holds in mind in evaluating and working with children. Where you start on the developmental level is with our physiology. We have differences in emotional reactivity. We have differences in arousal and thresholds where we get overwhelmed by input. Unless that physiological stage is calm, what’s going to happen to a child is (s)he will have difficulty paying attention to the world. (S)he’ll be distracted by both internal and external stimulation. If you have difficulty focusing on the world, and sustaining attention on stimuli, then you’ll have a lot of difficulty controlling your emotions. So physiology and attention are going to affect how a child responds to the world emotionally. If that emotional system isn’t regulated, it will affect your decision-making. It’s hard to make good decisions if you’re emotionally dysregulated. You’ll function very impulsively, react rather than respond, and get into trouble. If you’re cognitive system isn’t working because your emotional system hasn’t been regulated, where it’s going to be seen is in your behaviour. So the problem that we see is that different cultures are trained to focus on behaviour. So we have a kind of instantaneous behavioural intervention when behaviour is the tip of the iceberg. We instead need to deal with the underlying physiology, attention, and emotional dysregulation that has to be worked on first in order for a child to be able to deal with the academics. As discussed in our podcast with Dr. Glovinsky last year, what we do culturally from a very early age is focus on function in terms of academics. A child going into Kindergarten gets coached on the ABCs as opposed to the relationship that we have and what’s going on between us. When he asks parents why they spend so much time on training academics, they tend to say that’s what they’re supposed to do because that’s what they were taught. They say their kids have to know the ABCs and how to count to be successful in school. With lots of kids, he says, they learn in many different ways and they pick up the things the parents are drilling them on in all different ways. Parents feel that this is the way their child is going to develop. They can see results if their child can recite the ABCs. That emotional lens hasn’t been picked up yet. The link is on meaning. We process information through our sensory systems. We take in information through all of our senses most of the time. But, you have to give that sensory input meaning. The second step in information processing is giving meaning to the input. What Dr. Glovinsky sees with very young kids in early elementary grades is that they don’t have the capacity to develop the meaning, so all of this cognitive information is coming in and it’s floating on an iceberg but isn’t connected to anything. This makes their experience a diffused experience without meaning. Those social emotional skills that really pre-date understanding, comprehension and meaning have to be planted first. And when they’re not, they struggle with comprehension and then you’ll see behaviours because things are too challenging for them. Dr. Glovinsky can slow down his rhythm, choose specific words, speak very clearly, and shorten his sentences when he speaks with a young child, but if the child is overloaded with sensory input, they are anxious because they don’t understand. The anxiety overloads his system and the information isn’t being understood. What is often labelled as misbehaviour in schools is really a signal from a child that says “I’m having trouble”. When we experience anxiety we might be feeling guilt or shame. Then we move to actions which might be breaking pencils or falling off my chair. What’s in front of you is an anxious child and if the child just poked the child in front of him/her, or getting up and walking around the room is a signal that this child is having a hard time understanding what I’m saying. The need to move in supportively is what’s necessary rather than using discipline. When a child is struggling in a social-emotional manner, they need help first before we can help them at a cognitive level. Rather than being labelled by their misbehaviours, children should be screened for their needs. As Vancouver developmentalist, Dr. Gordon Neufeld says, when you change the lens you look through, your assumptions and expectations change and you can really see what’s going on. Dr. Glovinsky will get calls to observe a child in a classroom. He will sometimes say to the teacher that the child is really anxious. The teacher will say that they see the child as misbehaving which evokes in them an uncomfortable feeling which pushes them to some negative action. But when they hear the word anxious, they have a different body feeling from when I see behaviour. When they hear anxious, it makes them want to help the child instead of sending them to the principal’s office. Dr. Stuart Shanker’s self-reg helps inform school staff in this way. It’s hard to accept that you might be on a different path. Focusing on what your child can’t do brings you down. But focusing on his strengths and how much fun you have together helps keep your focus on track. Dr. Glovinsky will show parents a picture of three people in a room (two parents and a child) and they’ll say three (obviously). He’ll say “No“. The father had a father and a mother. That’s three. The mother had a father and a mother. That’s six. The child makes seven. When parents interact with a child through their histories, historical practices are brought into the present. Very good parents want their child to play and learn with other kids and be well-adjusted. But being directive and structured is often brought into the present without thinking that there is another way of being with a child. Our ancestors affect how we work with our children. A child can’t learn in an academic setting unless they’re emotionally regulated, the first Functional Emotional Developmental Capacity (FEDC) in DIR/Floortime. It just doesn’t work. And moving forward to the higher FEDCs, the process of mentalization is necessary to learn. It’s about having pictures in your mind. This is being able to think symbolically and abstractly, which only comes with developing the early social-emotional developmental capacities. We are told that kids have to do things according to one timeline and parents believe that and get scared and anxious. Nobody really tells them that some kids take longer to get there, but they do get there. Just because they’re not in this spot right now, doesn’t mean they won’t get to that spot. We need to work hard to pass this on to parents. Learn about facilitating your child’s regulation by helping them figure out how to help themselves. See our Sensory Lifestyle podcast with Virginia Spielmann. Thank you to Dr. Ira Glovinsky for taking the time to chat with us today. If you found this podcast informative or helpful, please share it on Facebook or Twitter, and feel free to share your insights, experiences, or questions in the Comments section below.